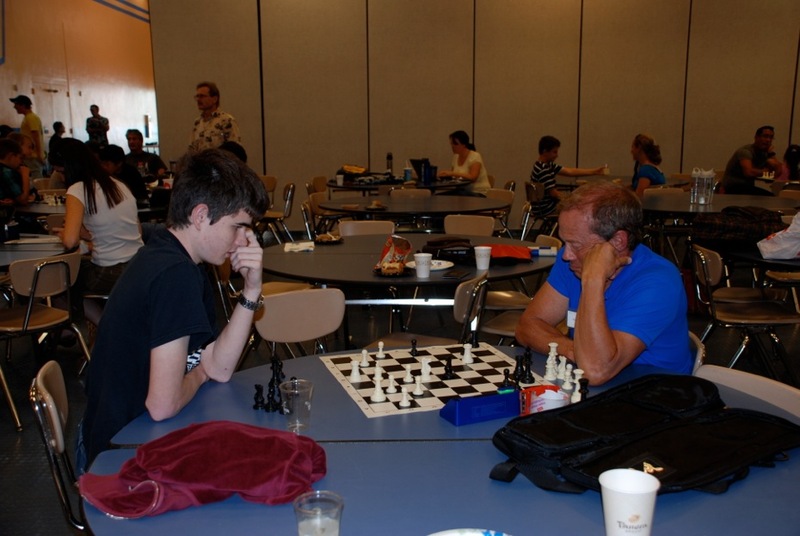 Ian considers his next move. 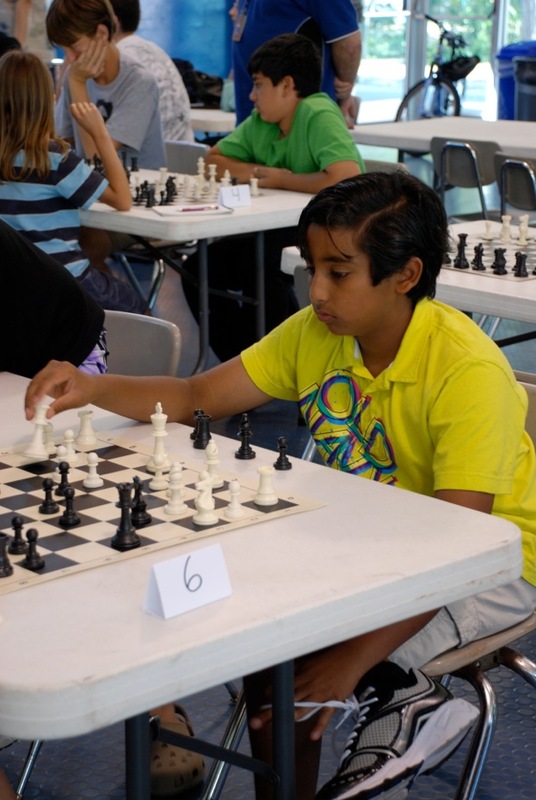 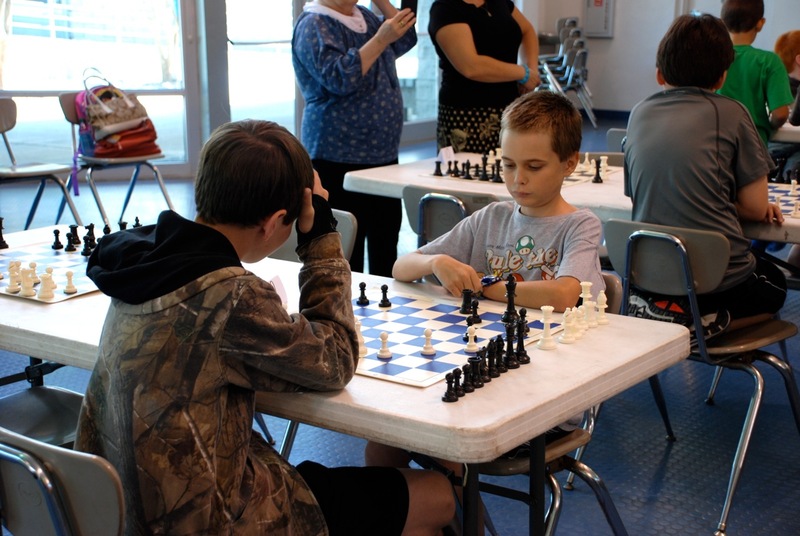 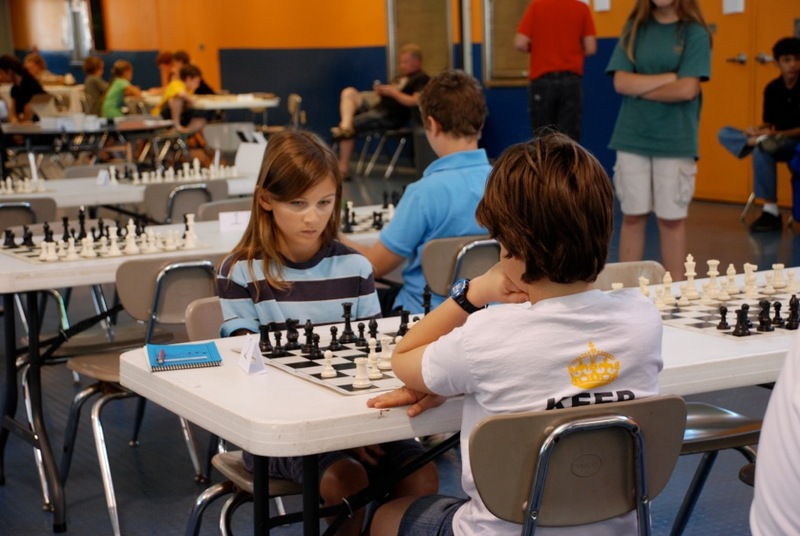 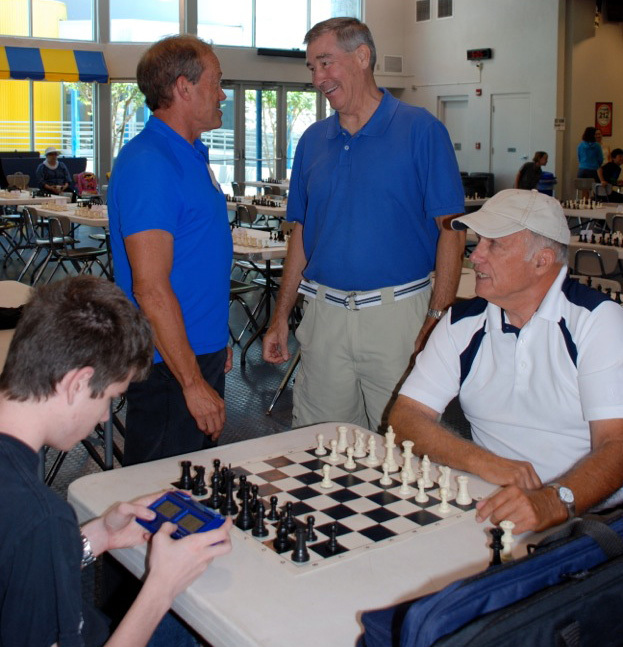 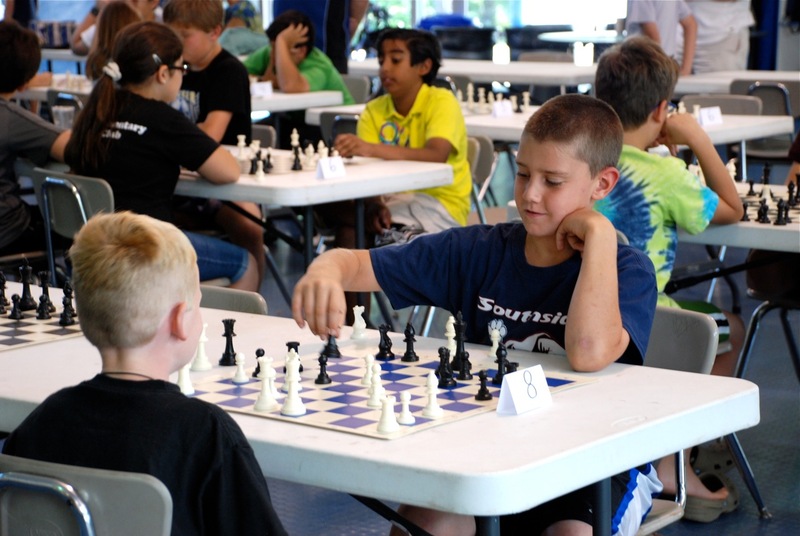 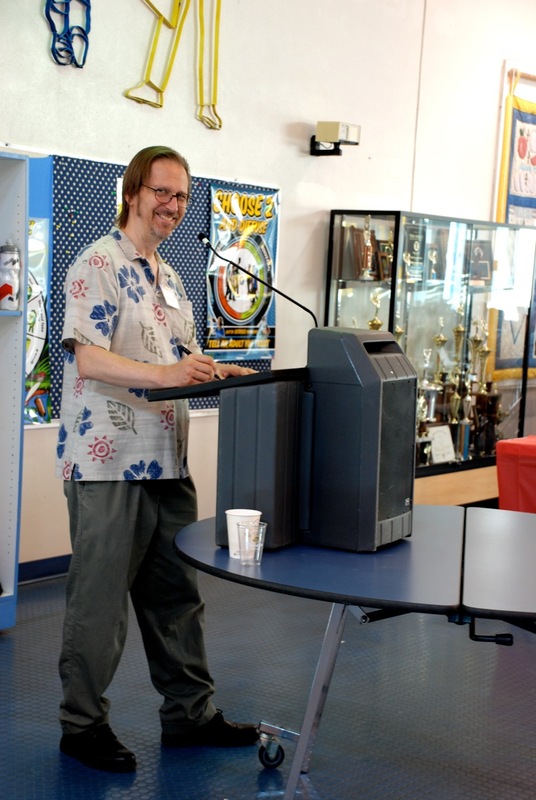 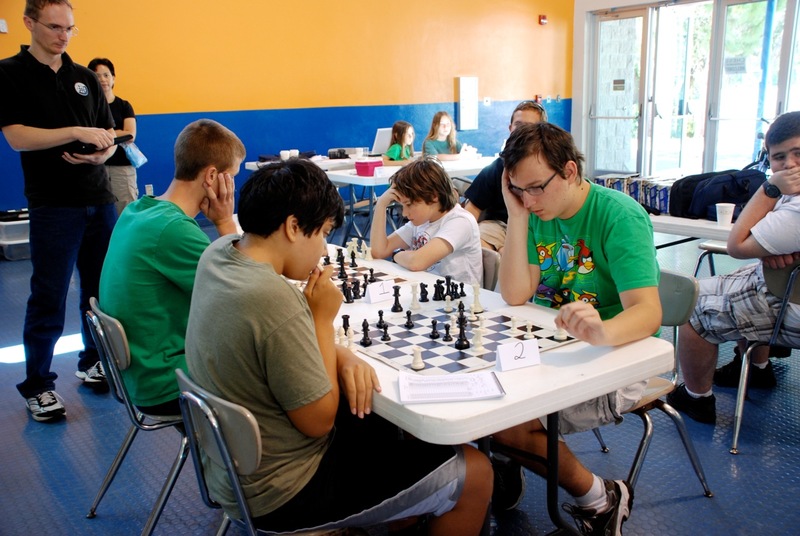 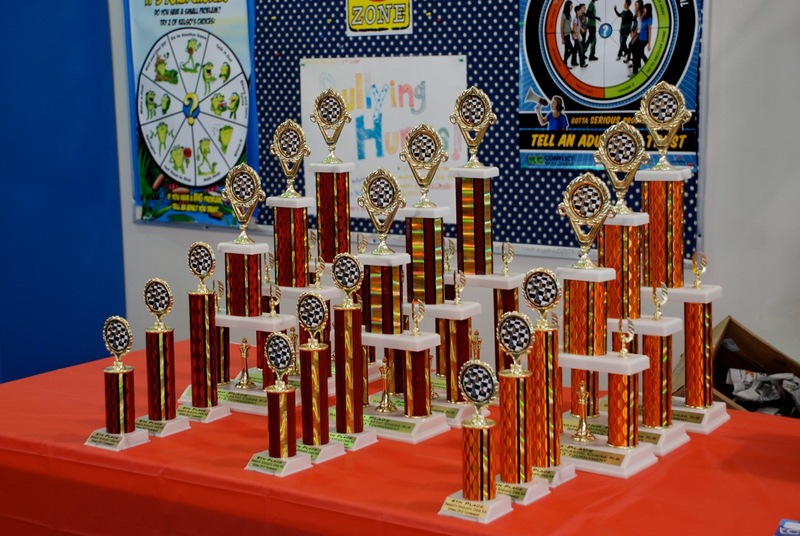 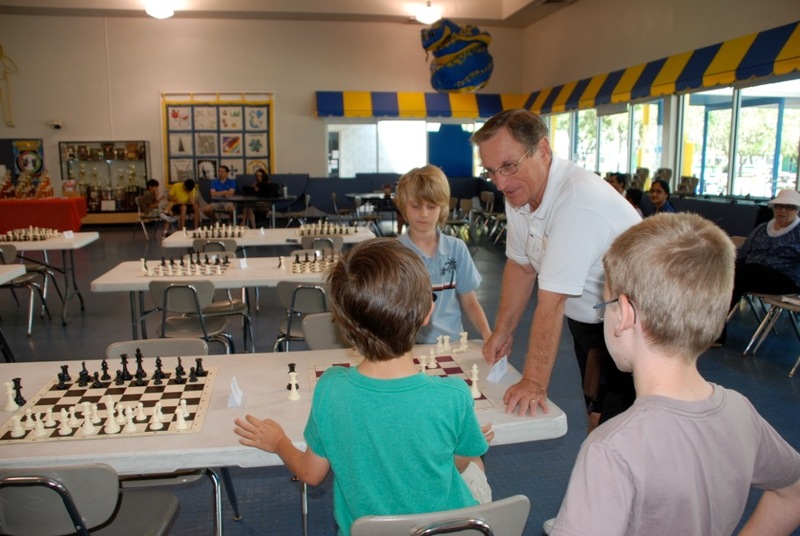 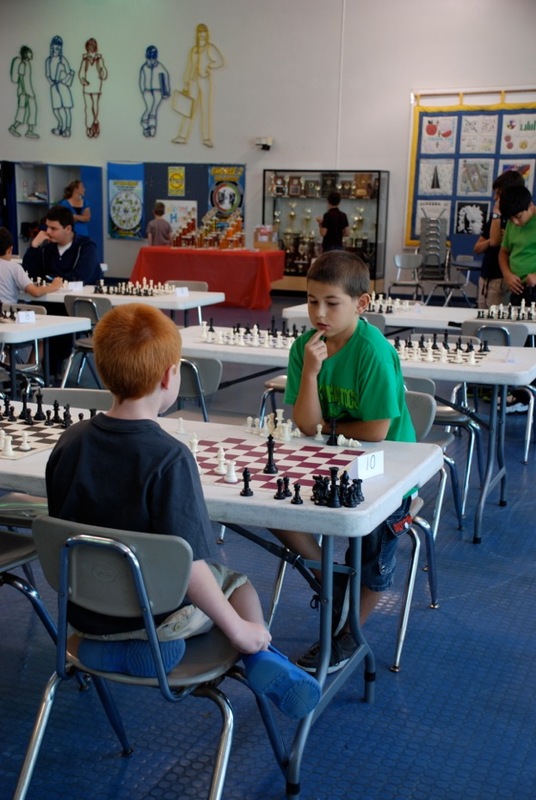 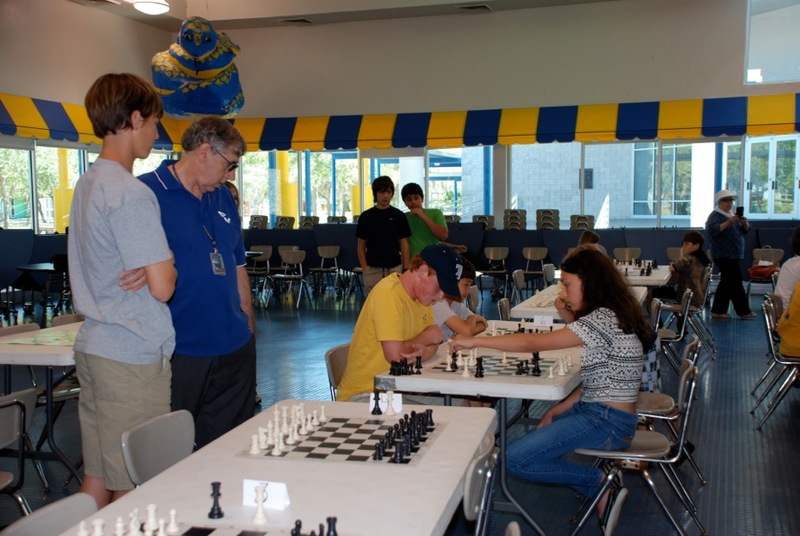 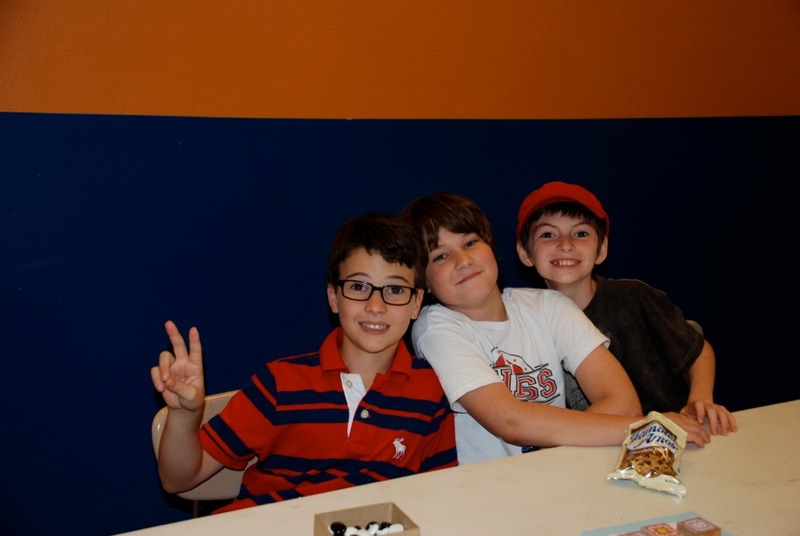 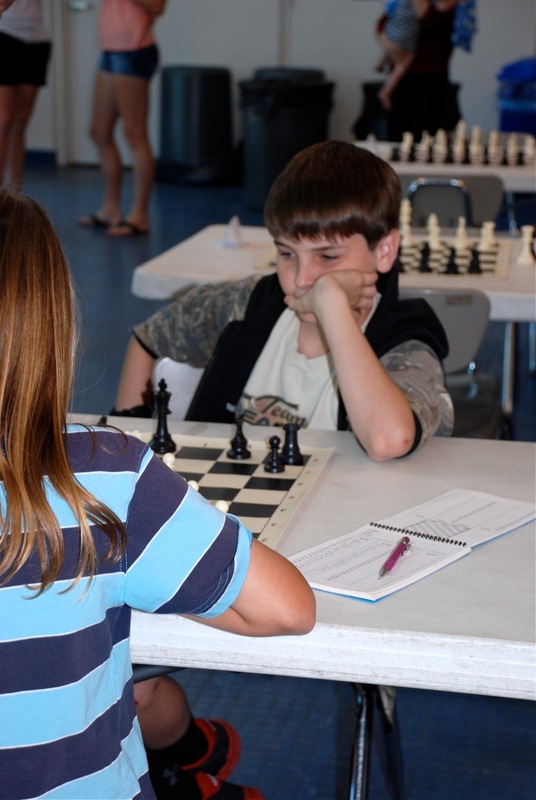 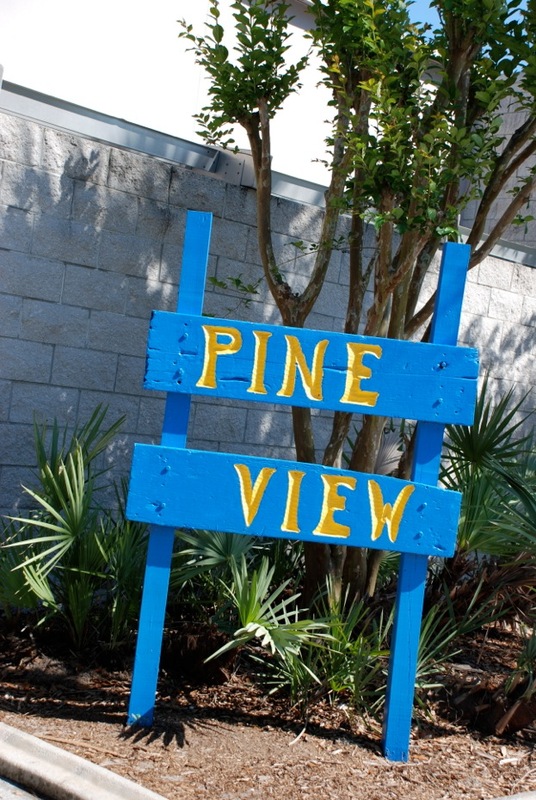 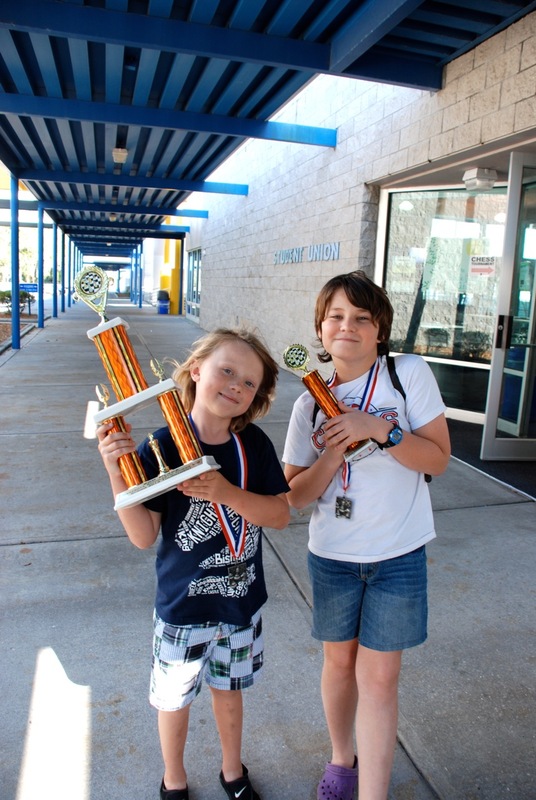 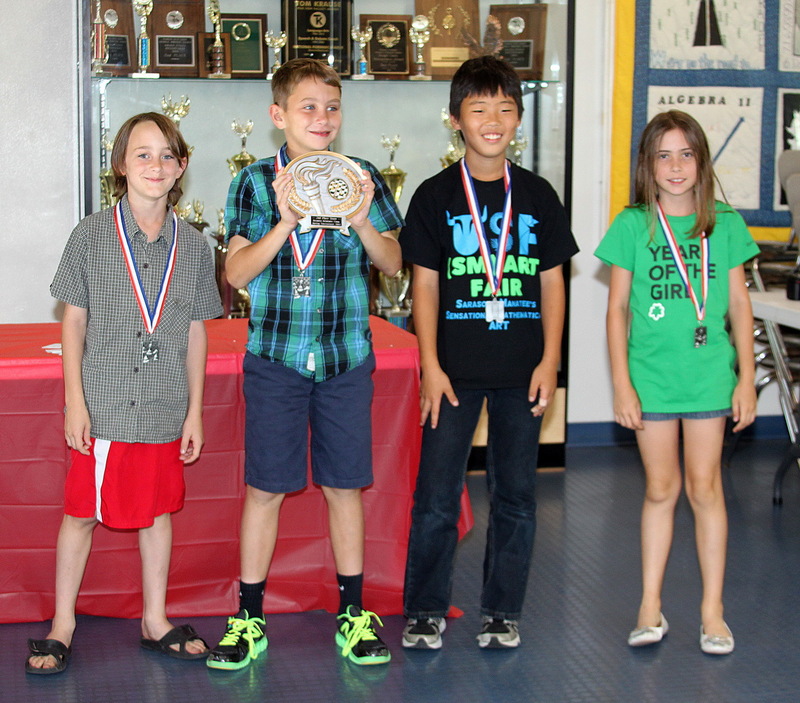 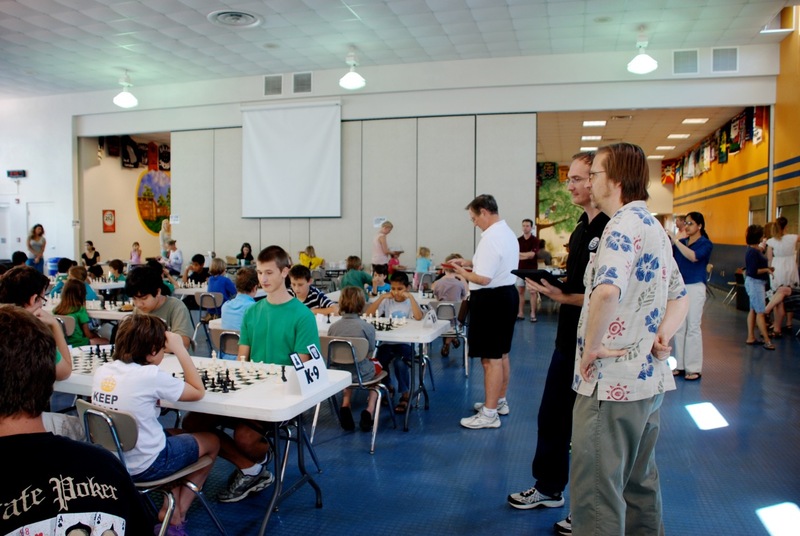 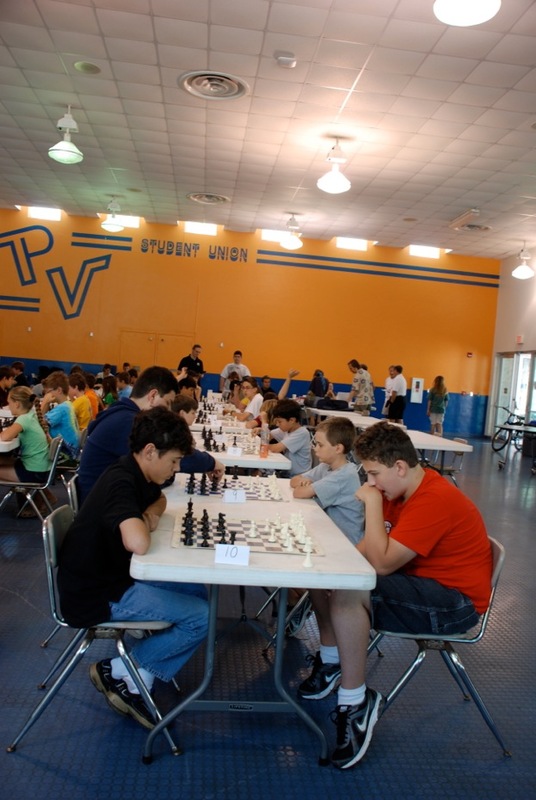 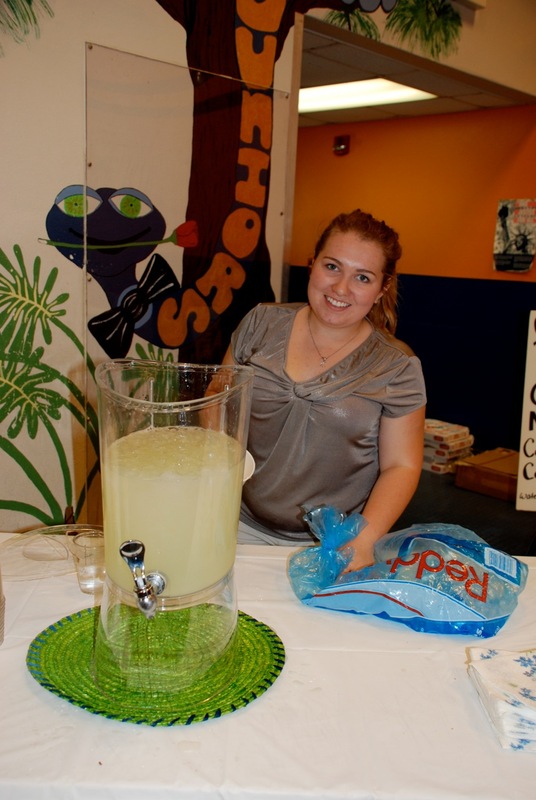 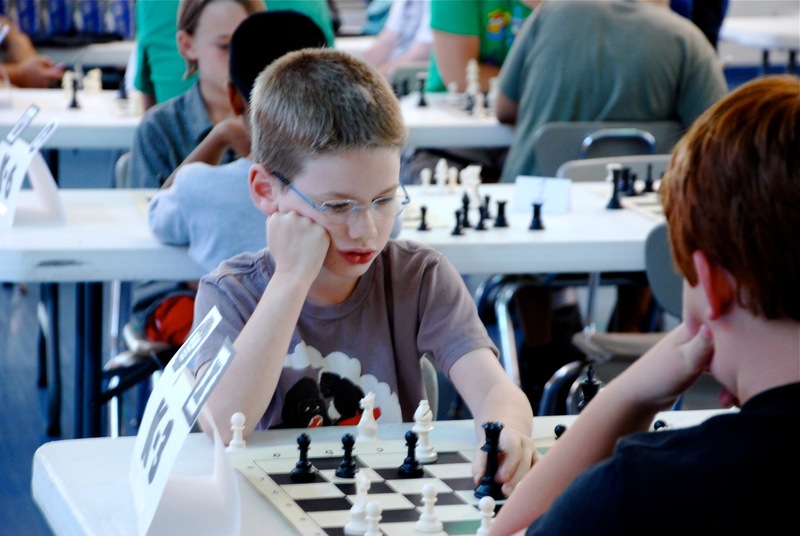 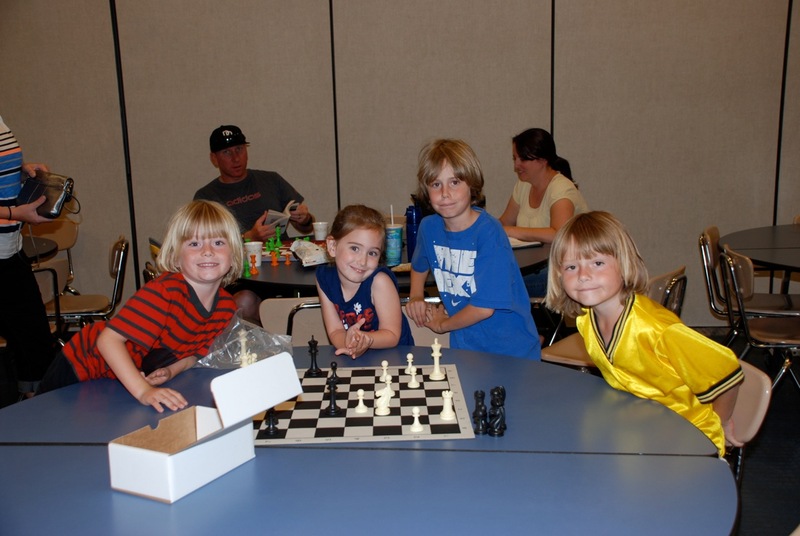 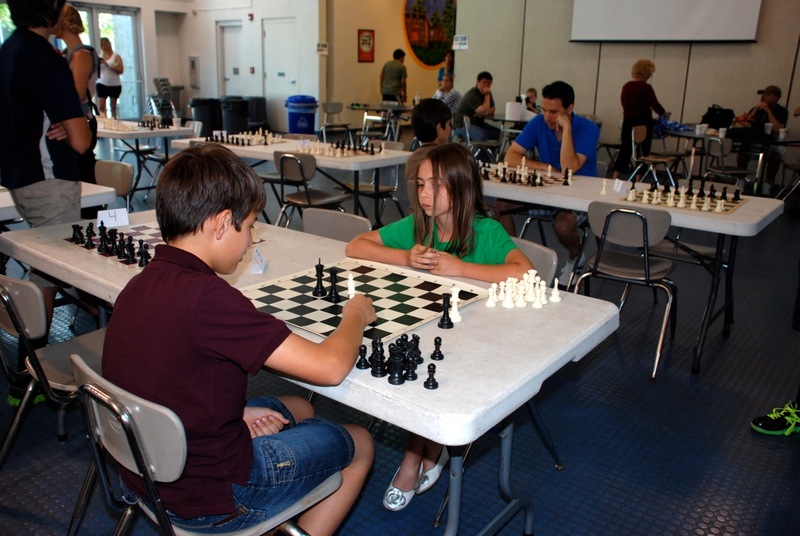 This photo gallery is from our Spring 2013 Tournament, held at Pine View School on May 5, 2013. 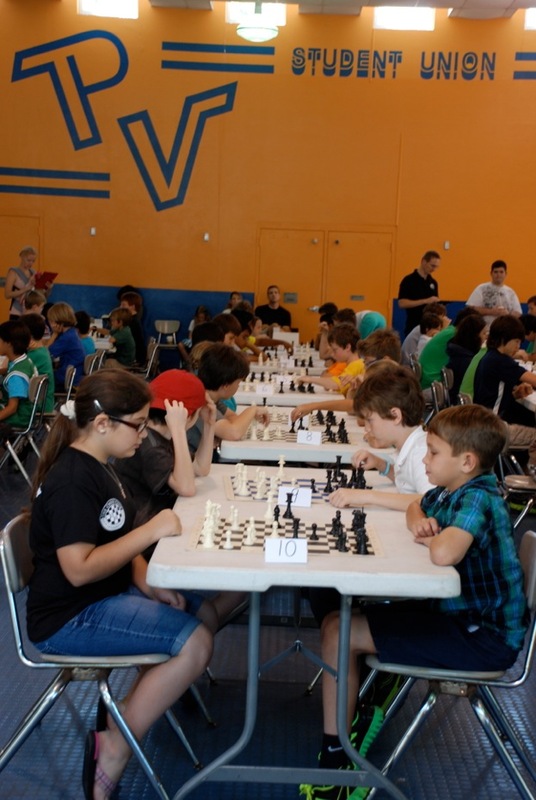 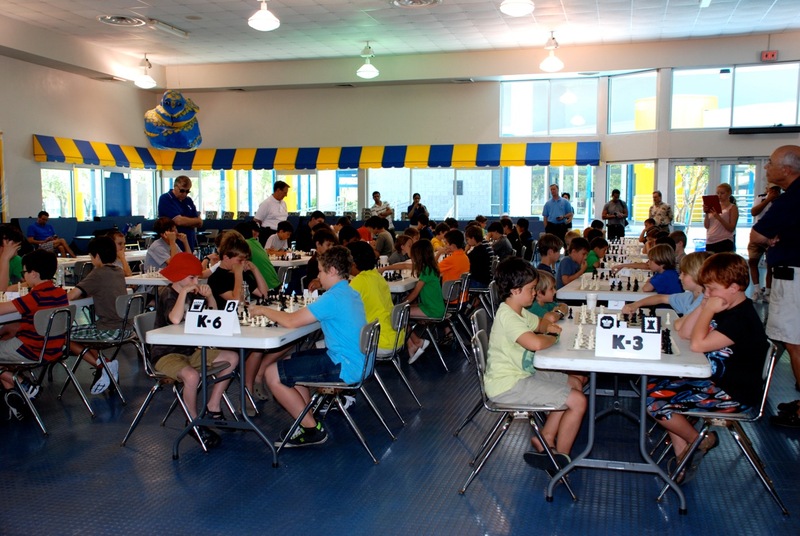 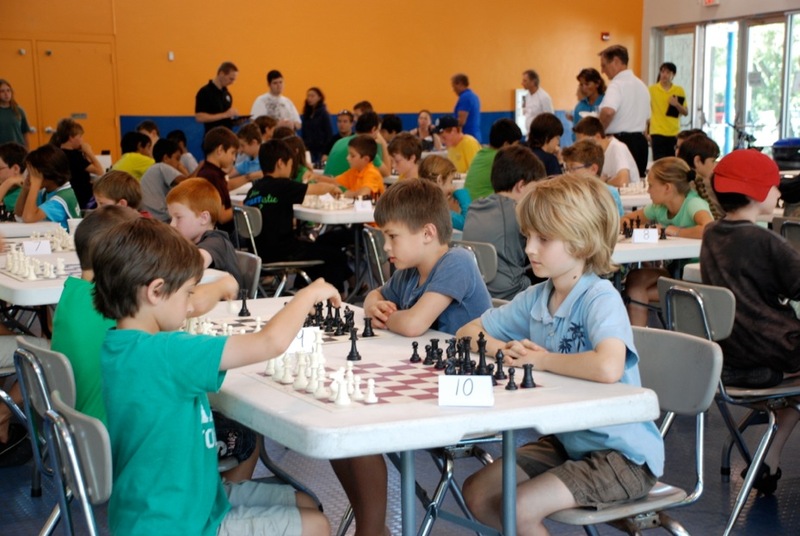 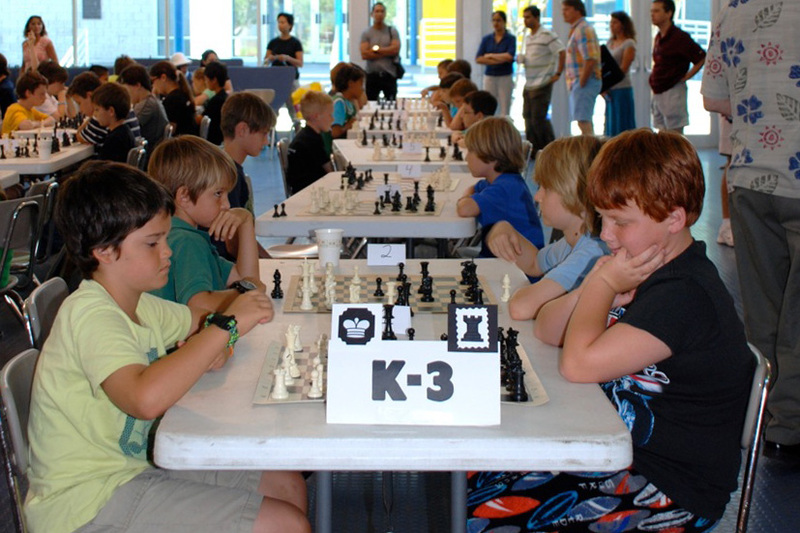 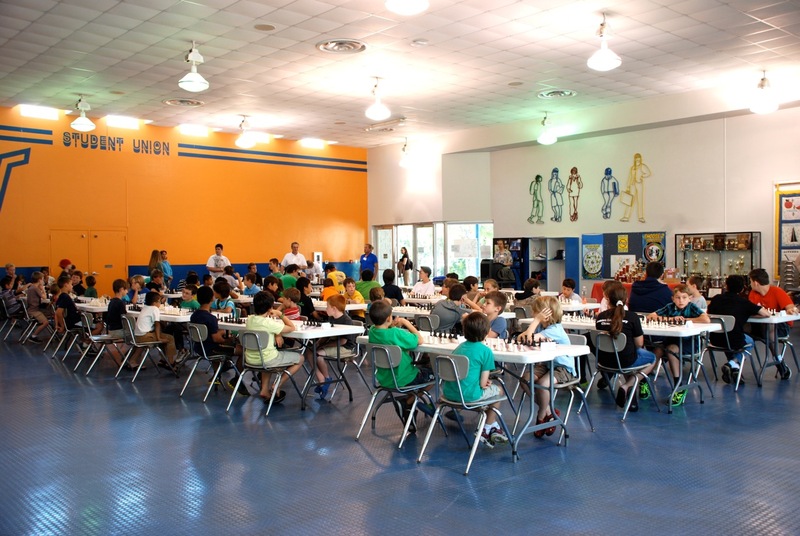 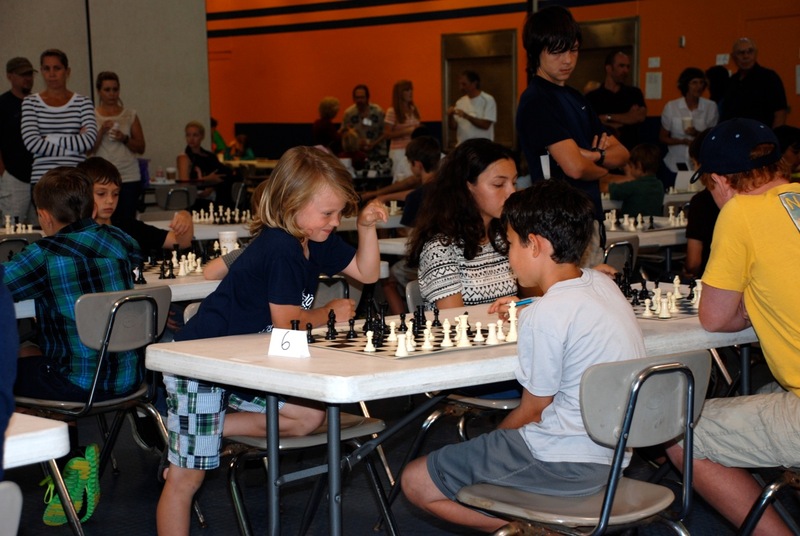 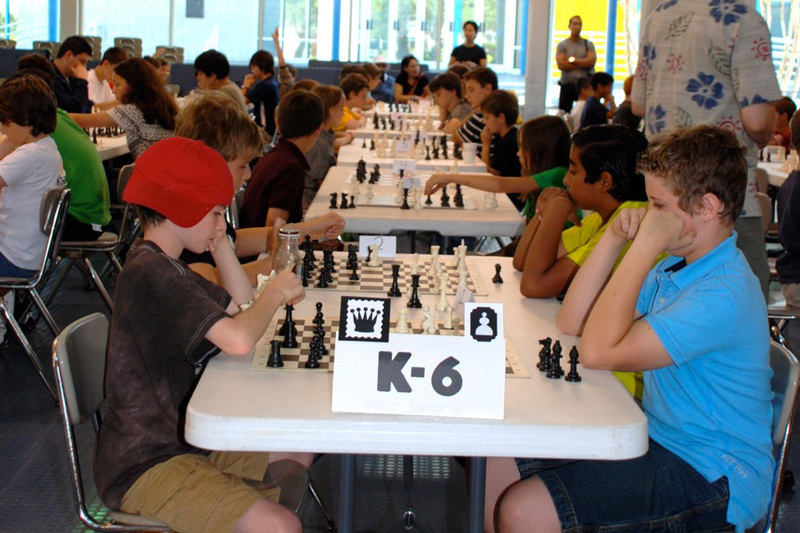 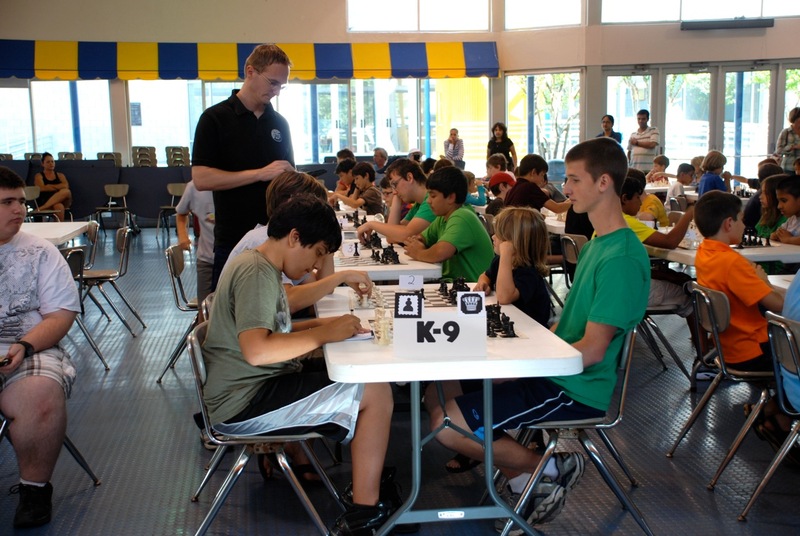 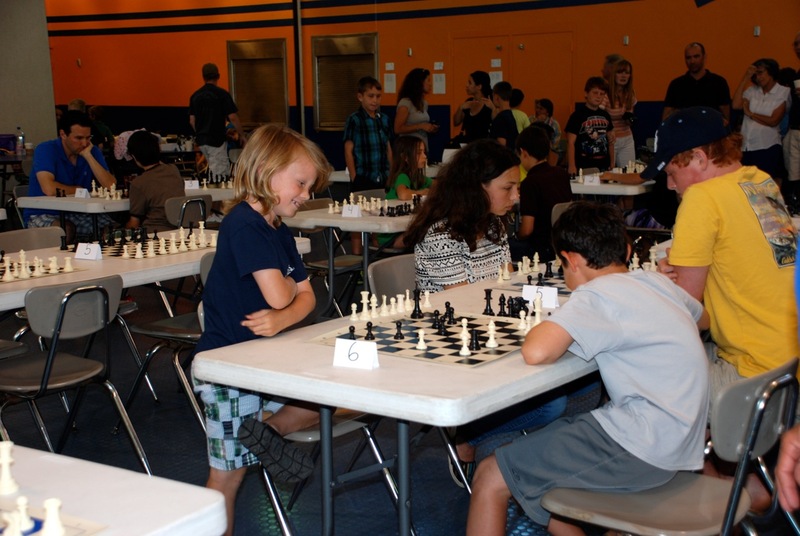 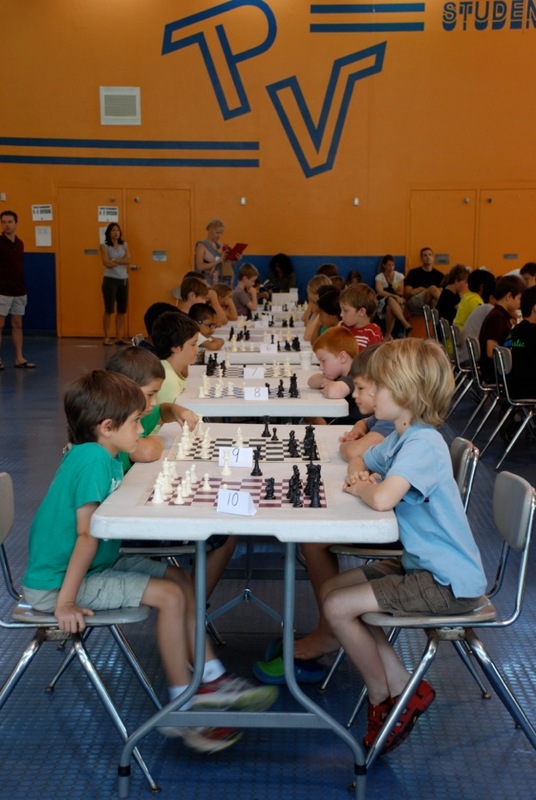 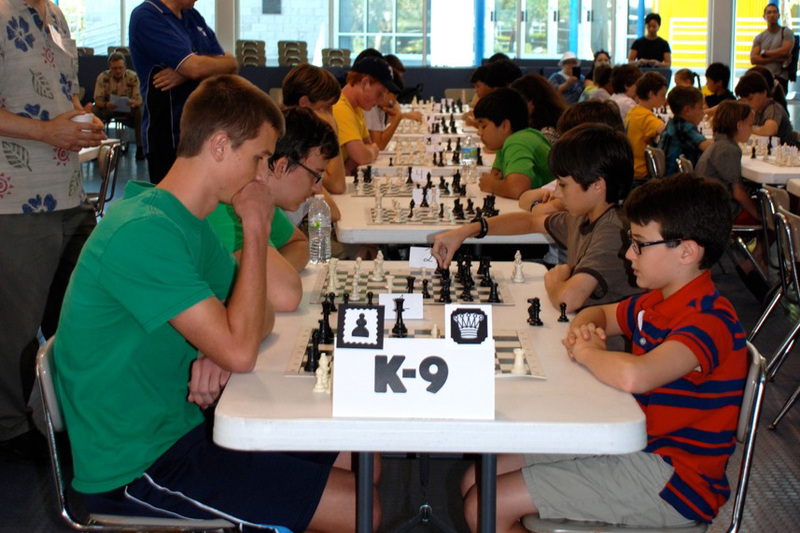 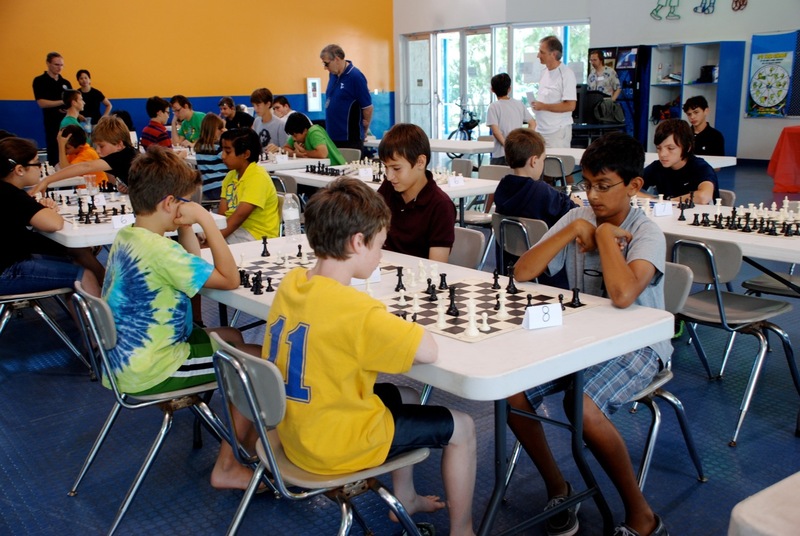 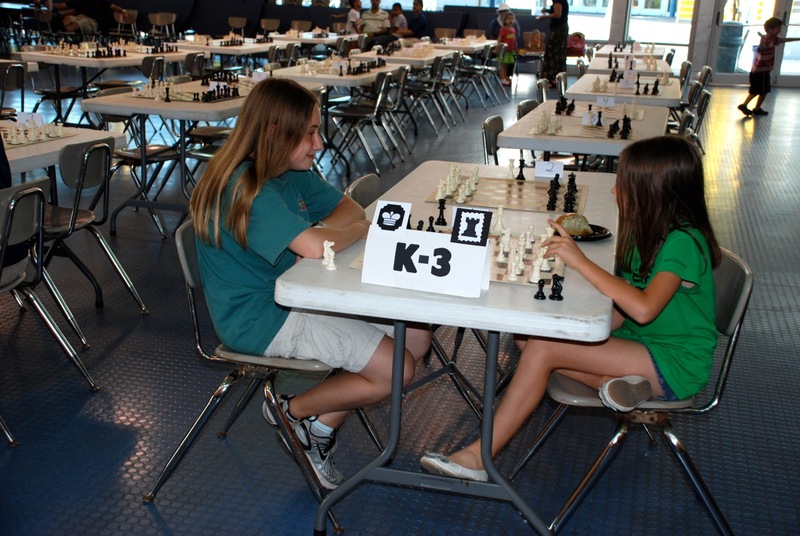 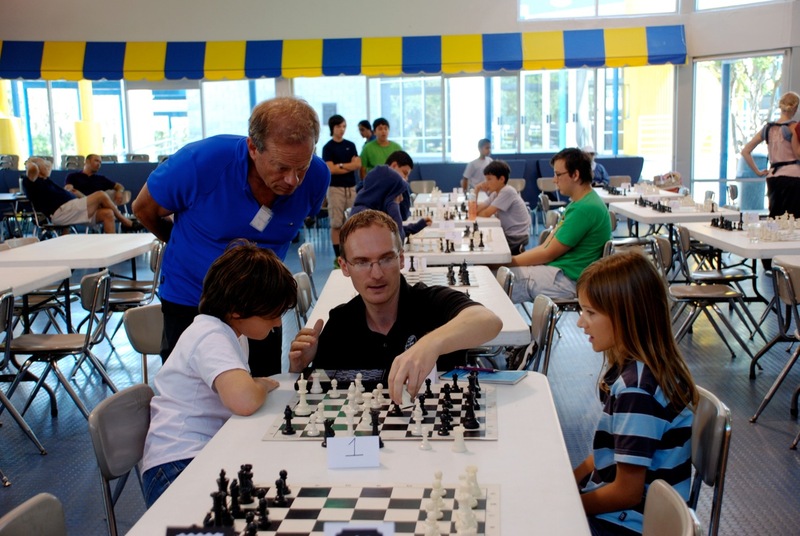 62 players were divided evenly in three sections, K-9 (K-10) U1100, K-6 U650, K-3 U500. 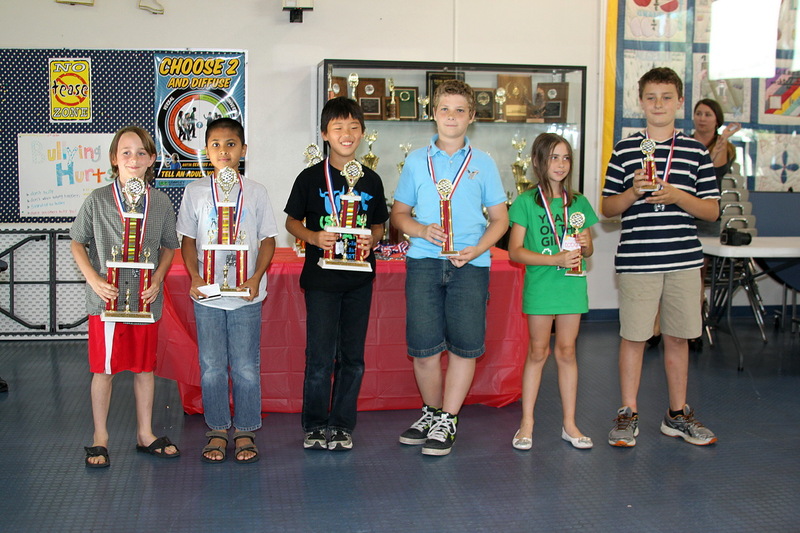 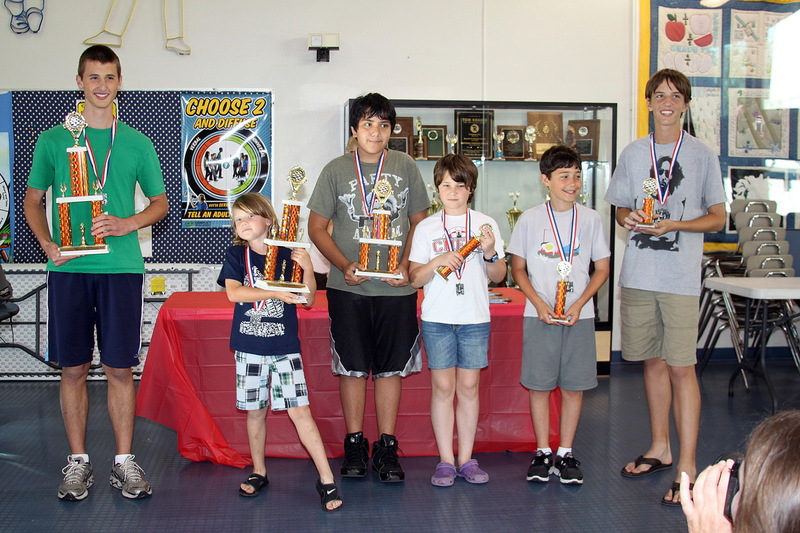 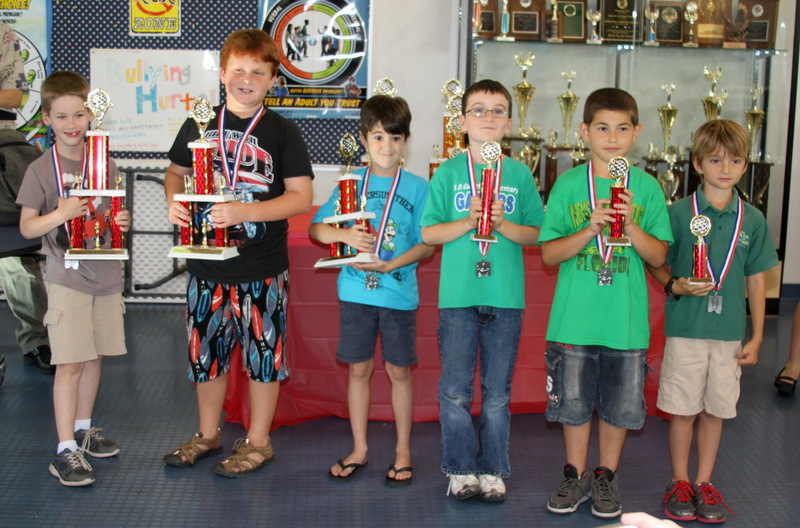 Winners from each section are pictured at the end with their trophies. 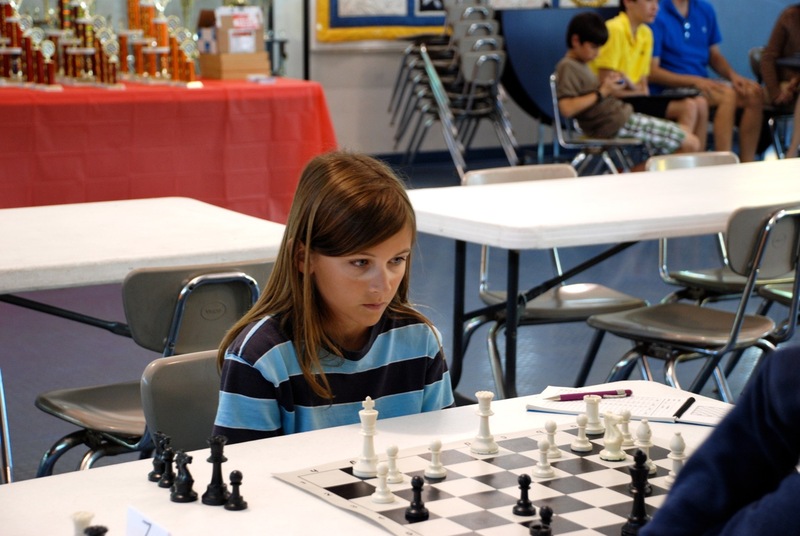 A surprisingly good performance by a 2nd grader put him in second place in the top section. 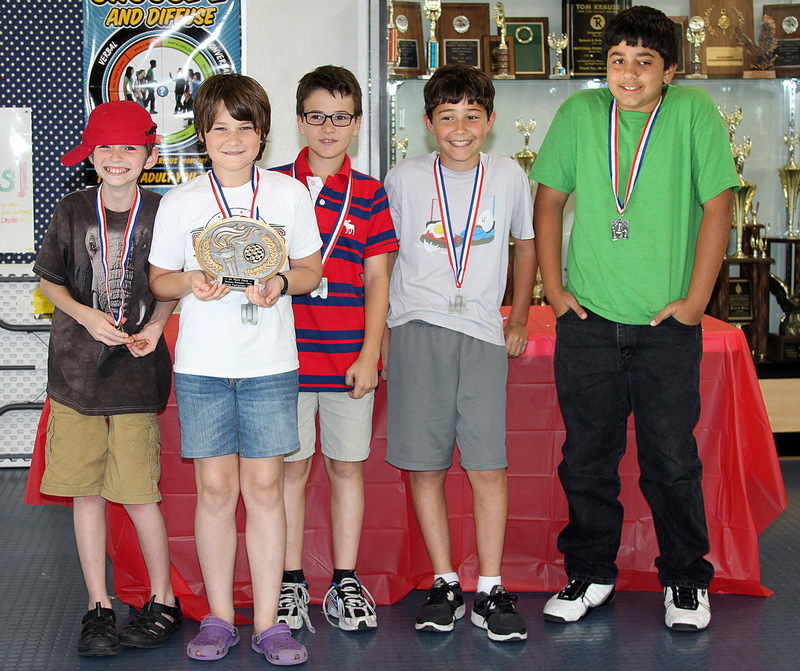 Top teams are also pictured at the end of the gallery with their plaques. 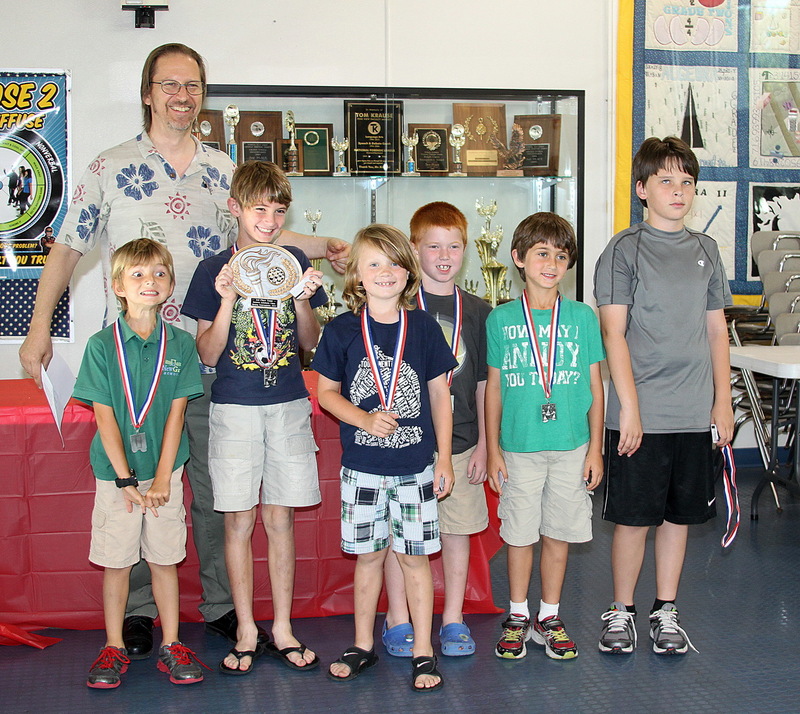 These were third place NewGate, second place Phillippi Shores, and first place "The Flaming Penguins," a team comprised of friends from Island Village Montessori, Pine View, and Brookside Middle School.